Were we "wild" at the Wildflower Wingding at Mission San Santonio de Padua/Los Padres Forest? Wildly successful - a definite yes! The wildflower display was incredibly beautiful, especially in the Los Padres Forest. Stuart Schroeder and his team of young Percheron mares, Betsy and Bonnie, joined us as a four-in-hand with Access Adventure mares, Reba and Ruby. David Pinkham's mules, Ken and Sam, were a hit with the riders at the Mission. More than 800 people attended the first Mission Days event. Riders lined up to board the carriages which were in action all day. 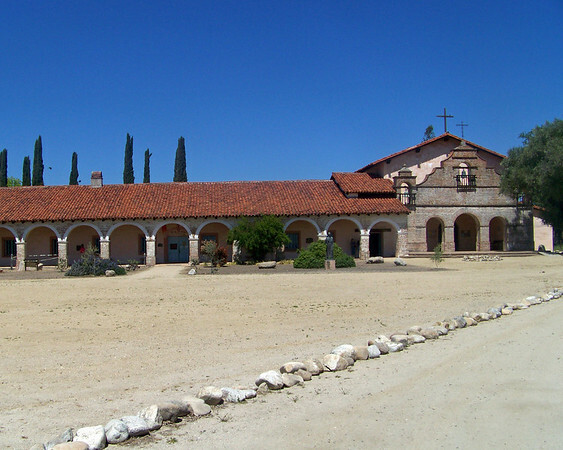 Our volunteers either stayed at the Hacienda, a former hunting lodge for William Randolph Hearst, or camped at the Mission. Every opportunity was taken to explore the beautiful oak woodland beneath towering rock formations and to enjoy seeing Old California at its best.